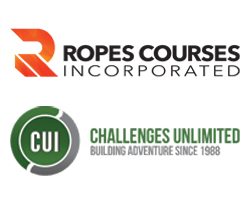 Ropes Courses Incorporated (RCI) has formed a partnership with Canadian supplier, Challenges Unlimited (CUI). CUI specializes in challenge courses, aerial adventure parks, zip lines, and climbing walls or towers. CUI is the first Canadian distributor of RCI’s stable of adventure attractions. CUI joins seven other worldwide partners under RCI Global, the international division of RCI that serves as the base for its network of distributors and will handle all international and marine projects. Each partner goes through a trial period of 6-12 months before becoming an authorized distributor, working with RCI to complete projects, develop regional markets, and learn about the company. “We’re prioritizing our relationships with our global partners in order to provide the best support and service to both our clients and the end-users,” said Jon Weston, vice president of sales & marketing for RCI. CUI is currently working on two projects involving RCI attractions, a Sky Trail and a Sky Rail, which are scheduled to be installed this year.